This station is intended for protection, control and regulation of gradual start-up of three-phase asynchronous electric motors, pumps, fans, compressors, the lifting and transport equipment, industrial facilities with supply voltage 3x220/380 V with power from 0,25 to 630 kW. Controlled gradual start-up (unit of gradual start-up). 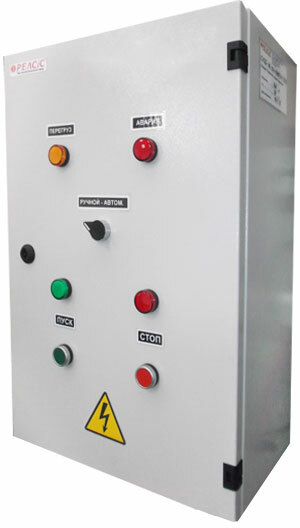 AVR - switching-in of reserve power supply (voltage control relay). SUZD-P01...06R - station of control and protection on microprocessor relays with controlled gradual start-up and motor working in reverse mode.